Brandis and Sam’s families have been close for generations, and the two grew up spending time together. Bike rides to and from one another’s houses as kids led to a relationship in college and nine years later, a proposal at the Pitt Street Bridge. After fabricating a botched dinner reservation, Sam got down on one knee and asked Brandis to marry him. 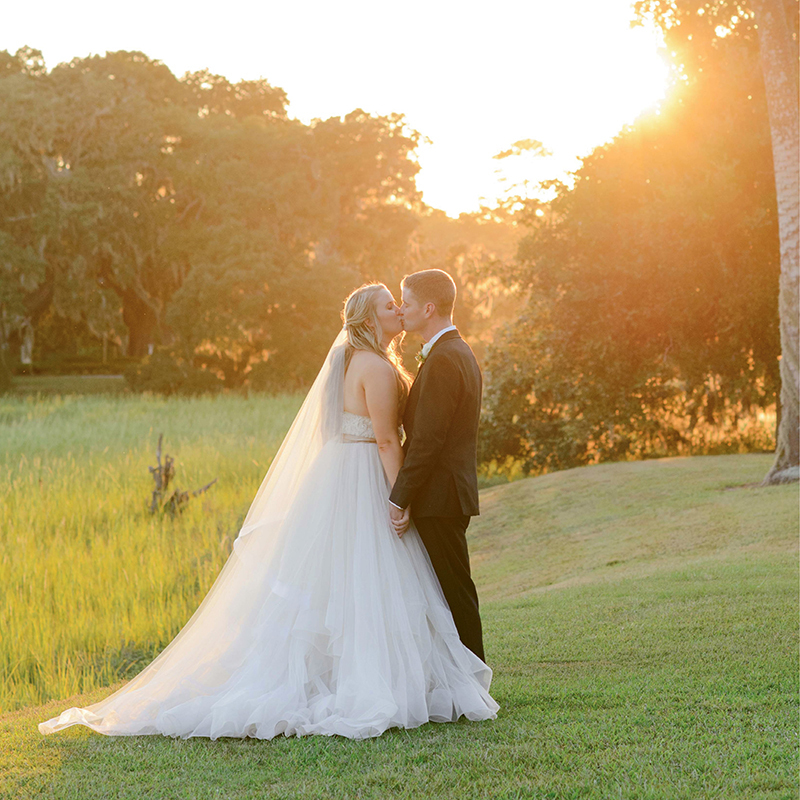 The South Carolina natives were wed at Cypress Trees Plantation on Edisto Island the weekend after Hurricane Florence, dancing the night away under the oaks with perfect weather. Brandis, Charleston magazine’s advertising production manager, and Sam, a legal assistant, live in West Ashley.